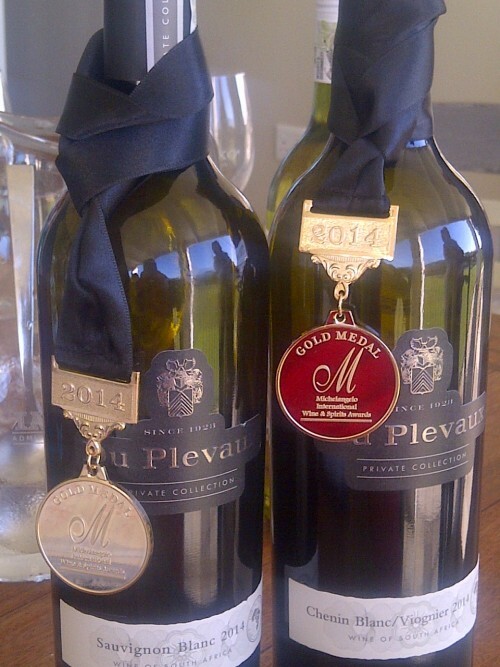 Congratulations to Du Plevaux Premium Collection Wines! It is with great pride that we announce the success of Du Plevaux Premium Collection Wines! This superior range, has achieved great heights recently, for the Du Plevaux Sauvignon Blanc 2014 and the Du Plevaux Chenin Blanc/Viognier 2014. Both white wines received GOLD at the Michelangelo International Wine Awards and at Veritas, a silver for the Sauvignon Blanc and bronze for the Chenin/Viognier. The red wines, did not disappoint as well… The Du Plevaux Shiraz 2012, received the Best Quality Best price award at the 2014 Prowein International Trade Fair in Dusseldorf (Germany) and a bronze medal at Veritas. Well done, we are extremely proud and grateful of these awards!